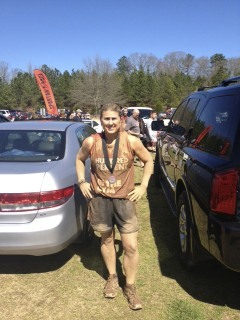 I did a mud race this weekend that was totally awesome. It was a Spartan Race...the one I did was less than four miles and had 15 obstacles...but Spartan has an entire series of races at varying levels. I woke up the next day sore and covered in scratches and bruises...but I totally loved the race and would do it again. Tons of fun!